Freaks, Mutants, and Monsters: Mon-Tiki, god of fire. 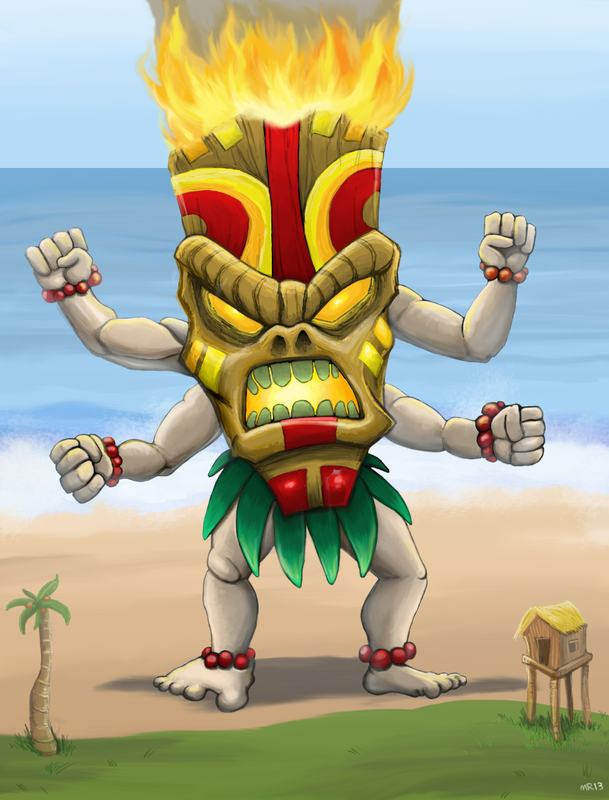 Mon-Tiki is the god of fire, of an isolated tribe on a secluded Polynesian island. Whenever his people are threatened he can be summoned to deal out his holy justice.